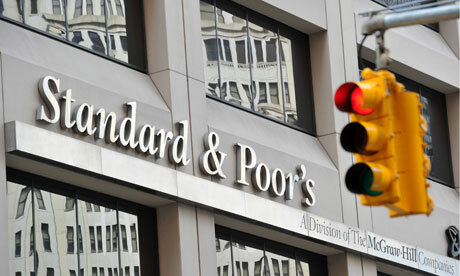 Standard & Poor’s (S&P) Global Ratings on Friday maintained Egypt’s outlook at stable, affirmed the ‘B-B’ long- and short-term foreign, and local currency sovereign credit ratings. According to the report published by S&P, the outlook reflects the potential of raising the rating next year, if larger-than-anticipated structural reforms that support investment, growth, and decrease inflation continue. 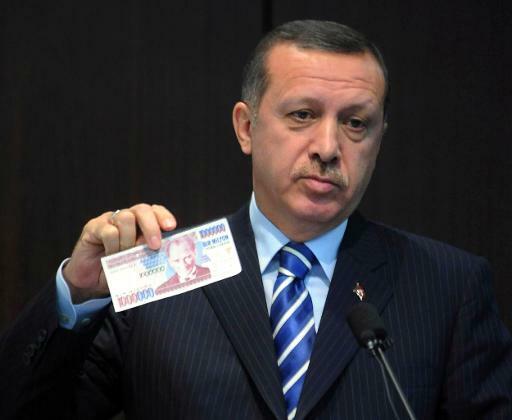 “We also believe that Egypt’s monetary framework is gradually improving, albeit from a weak base,” the report states. Nevertheless, S&P states that the ratings remain constrained by wide fiscal deficits, high public debt, low income levels, and still-high gross external financing needs. 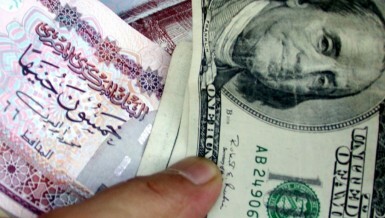 Moreover, the credit agency believes that ratings could be lowered, if Egypt’s plan is to gradually reduce government debt to GDP is derailed by fiscal slippages, higher borrowing costs, more pronounced currency depreciation than expected, or if foreign exchange reserve levels were to fall significantly. In terms of economic growth, S&P forecast the strong GDP growth momentum to continue, at an average of 5.4% over the next three years, supported by broad-based growth across several sectors, particularly manufacturing, natural gas, tourism, and construction. According to the report, these projected figures are expected to further increase, if Russia and the UK resume commercial flights to Sharm El Sheikh, boosting tourist arrivals, or if Egypt is able to again become a significant net exporter of gas. However, downside risks to growth could arise, in case of increases in security risks, higher oil prices than what the agency currently assumes, a significant decrease in world trade volumes, or fiscal slippages. “The socio-political environment in Egypt remains fragile, in our view, though we note that the unemployment rate has fallen to 9.9% in June 2018 from of 13% in July 2014” the report cites, explaining that social discontent, especially from vulnerable groups as a result of the rising cost of living, remains a risk to the fiscal consolidation programme and reforms. 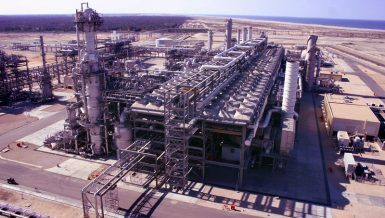 The report indicates that Egypt’s gross external financing needs remain high, despite the currency flotation, and higher domestic gas production. Moreover, according to the report, Egypt’s current account deficits (CADs) declined sharply to close to $6bn or 2.4% of GDP in fiscal year (FY) 2018, from more than $14bn or 6% of GDP in the previous year. S&P forecast CAD to average 2.4% of GDP over the next three years, supported by reduced energy import costs, increase in tourism, and resilient remittances. Yet, they believe that higher oil prices in the FY 2019 will offset gains from lower imported hydrocarbon volumes. Furthermore, the credit rating agency forecast that foreign direct investments (FDI) inflows averaging 2.6% of the GDP over FY 2019-2021 will be sufficient to finance the smaller CADs. 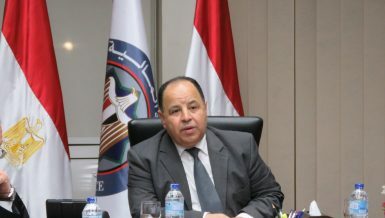 The report states that S&P view Egypt’s external liquidity position as more resilient, due to various factors such as: Net international reserves reached $44.5bn at end-September, other foreign currency assets stood at about $7bn as of end-September 2018, down from $11bn in April, and that the government’s general government fiscal deficit narrowed to 9.7% of the GDP in FY 2018, from 10.6% in 2017. 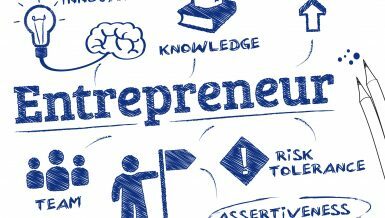 “We project that Egypt’s general government fiscal deficit will decline to 6.8% of GDP by FY 2021.” the report states. 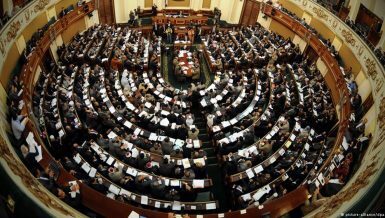 According to the report, one of Egypt’s key fiscal challenges is the government’s interest bill, which makes up slightly more than all of the central government budgetary deficit, at 9.9% of the GDP for FY 2018. S&P expect the ratio of general government interest costs to revenues will increase further to 48% in fiscal year 2019, from 45% in the previous year. Reflecting the reissuance in 2018 of debt owed to the CBE, at higher market rates, and higher yields on recently issued government securities partly due to portfolio outflows by non-residents. However, the agency forecast that governmental debt levels will fall gradually on the back of falling fiscal deficits, reaching 85% of the GDP by the end of FY 2021.We project net government debt will fall to about 78% by the end of FY 2021. To ease or not to ease? 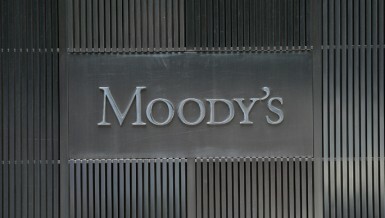 Although Egypt’s monetary policy flexibility is improving from a weak base, according to S&P, yet, financial services’ penetration of the economy is remains limited – for instance, the stock of banks’ credit to the domestic private sector is low, estimated at less than 30% of the GDP in FY 2018. Consequently, the report concluded that price changes are more likely to be dominated by external factors – such as imported inflation from a depreciating Egyptian pound – rather than changes in key Central Bank of Egypt (CBE) policy rates. Egypt’s headline inflation has increased over the past two months to 16% in September 2018 – and 17.7% in October up from 15.4% in September according to CAPMAS –, as a result of higher prices for fruit and vegetables, and fiscal measures including energy subsidy cuts. However, the agency expect inflation will remain in line with the CBE’s inflation target announced in May 2017, of 13% (+/-3%) during the fourth quarter of FY 2018. According to the report, a cautious stance toward monetary easing is expected, as the CBE seeks to balance inflation expectations and volatility in portfolio flows, against subdued private consumption and high government debt servicing costs.